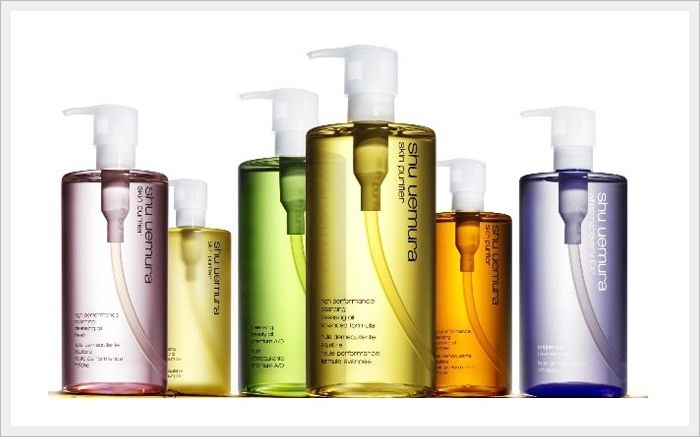 Cleansing Oils have become more and more important in everyday skincare routine. Arriving home after a long and tired day, women only want to clean everything off their face the most quickly and conveniently. Cleansing Oils can do this work by combining facial cleanser, make-up remover and water-proof make-up remover at one. Using cleansing oil for 3 minutes and we are free to go to bed. Here is our top 3 cleansing oils at the moment. If you are still looking for a right cleanser or a quick solution for face cleansing and make-up removing, you might want to have a look at this review. The product indeed cleans very well and leave skin quite hydrated. Its oil texture is thin and its smell is subtle. However the oil is mineral oil and some people might not like it. It does include some extracts to provide a little active benefits such as anti-aging and skin calming. It is one of the most expensive cleansing oil with the price of 37$ for 150ml. Zakka Naturals Cleansing Oil is a new face in emulsifying cleansing oil market, however it has satisfied many women with its amazing properties. It is a vegan cleansing oil and contains 100% pure essential oil for aromatherapy effects. In the ingredient list, there is premium oils such as jojoba oil, avocado oil and olive oil for hydrating purpose. It water-proof make-up removing ability is especially good and can clean every make-up out of your face completely and leaves your skin very hydrated and moisturized. One of its weakness is that this natural cleansing oil can only be purchased via website: www.zakkanaturals.com and that is an inconvenience for customers. Zakka Naturals Cleansing Oil’s price is incredibly good at about 13$ for 100ml bottle. It is claimed that 1 bottle can last up to 3 months if it is used daily. This Japanese brand is mostly famous for its cleansing oil and it really is. It does clean make-up very clearly and leaves skin soft. However it is a plain oil and hence you can smell oil when applying it on your face, but the smell will go off after a wash. The price of this product is about 28$ for almost 200ml. The packaging is very simple compared to Zakka Naturals and Shu Uemura.